Welcome to the Rite Leg Company. Do you have wood with a unique look or interesting character? Maybe a wooden slab from a sentimental or storm damaged tree? 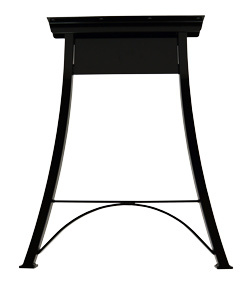 Are you looking to create a special piece of furniture? Do you have a sawmill and want to offer value added products? Then put your tops on our bottoms! 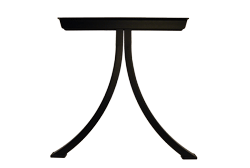 The Rite Leg Company designs and fabricates metal bottoms or legs for your custom tops. We do what we do best - steel design and fabrication. And you can do what you do best: Cover up our bottoms with your wooden slabs, reclaimed beams and lumber, live edge timbers or even granite and marble tops. So check out our legs. Need inspiration or looking for ideas, then check out our Portfolio page. 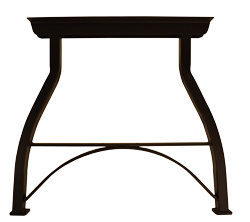 A simple concave curved leg design. Height 17". 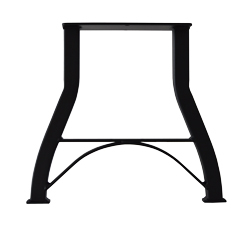 A simple concave curved leg design. Three legged so it is always level, never rocks! 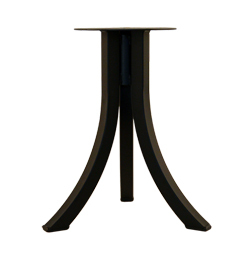 Height 17"
A simple concave curved leg design. Three legged so it is always level, never rocks! 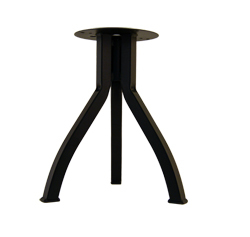 Height 28" Also available in 24" and 32" heights. 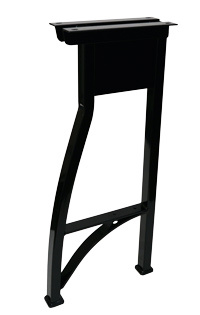 A simple concave curved leg design. 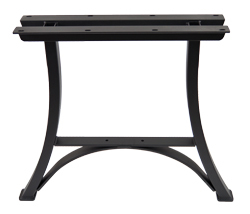 Makes a great bar or high top table. 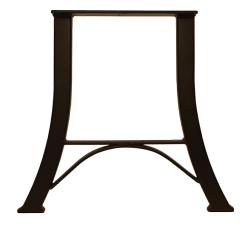 Height 40"
A simple concave curved leg in the front and a straight leg in the back. Leg height 19". A simple concave curved design. 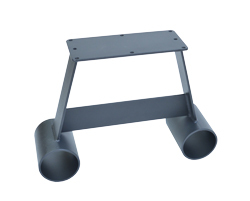 Height 28"
A retro industrial style bench leg. Height 17". Retro Industrial Style Table leg. 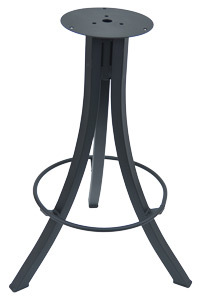 Height 28"
A retro industrial style stool. Height 17" tall. 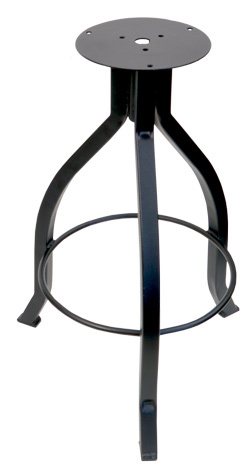 A retro industrial style stool. Height 28" tall. 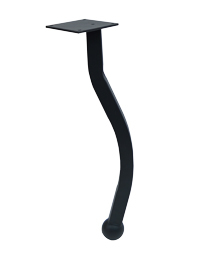 Also available in 24" height. 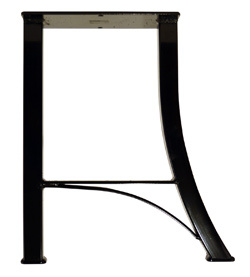 A retro industrial style convex curved leg. 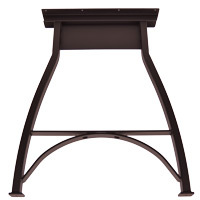 Makes a great bar or high top table. Height 40". Designed to stand against a wall. The front leg is curved and the back leg is straight. Height 40". 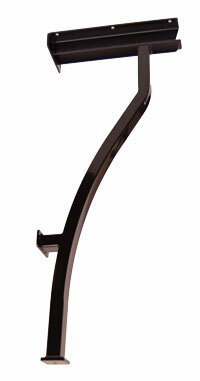 A curvy wall mounted counter leg. 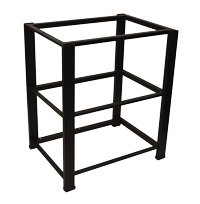 Height 40"
Frame to create a cart or stand with 3 shelves. Two sizes available. Frame height 28". Steel picnic table. 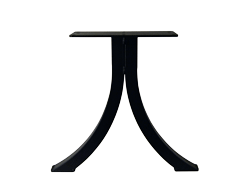 Table height 29". A solid, rugged bench leg. Height 14 3/4".